We proudly administer the Colorado Medical-Dental Integration Project and Land of Smiles. 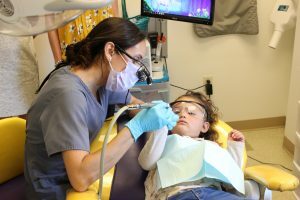 The Colorado Medical-Dental Integration Project (CO MDI) integrates dental hygienists on to health care teams in medical clinics throughout the state. Partner clinics focus on providing care to populations that experience oral health inequities. This model is unique in the nation because of its integration of oral health as a part of general health and well-being. Through CO MDI, clinics have provided over 57,000 visits for patients who otherwise may not receive care due to insurance status, transportation, geography, or socioeconomic status. Currently reaching 27 communities in up to 39 locations throughout Colorado. 10 organizations were awarded grants 2018–2021, in partnership with the Colorado Health Foundation. 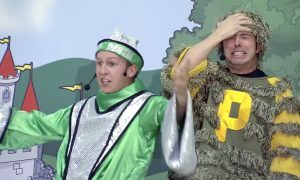 Land of Smiles is a free, live theater program promoting the importance of oral health care for K-3 students in schools across Colorado. Using school assembly-style programming, DDCO has provided over 127,000 students with a toothbrush, toothpaste, and floss. Over 353 curriculum kits were distributed to schools, which included three storybooks and related teacher resources.